Tomatoes love almost everything, because it is useful and, most importantly, delicious. For those who have planted seedlings of tomatoes back in March, in June, comes the hottest time. So, to get a decent harvest, you need to know how to plant seedlings of tomatoes. Prepare for a seedling box and fill it with earth. Seeds of tomatoes gauge, besserat and temper. Seal the earth in the box, well her wait. Make a groove depth from 1 to 1.2 cm in a distance of 2,5-3 cm from each other. Cover the boxes with glass, plywood or plastic and put them in a fairly warm place (temperature not less than + 20-25°). First, keep seedlings in the shade, gradually accustomed to the sun. The appearance of the first true leaves on the sprouts will transplant them into individual pots, pinching off each Bush Central root, to 1/3, to form strong roots. When the seedling is ready to transplant into the garden, which will happen in about a couple of months after planting the seeds, prepare the ground for its transplantation. To plant seedlings of tomatoes, carefully dig the garden, to fertilize the soil with manure compost, superphosphate, peat and sulphate of potash. To make it better in cloudy weather. Two weeks later okucia seedlings at the height of the stem up to 12 cm Put the pegs. Do not water the seedlings for ten days, until they take root. - make pinched over the top floral brush, leaving her 2-3 leaf. 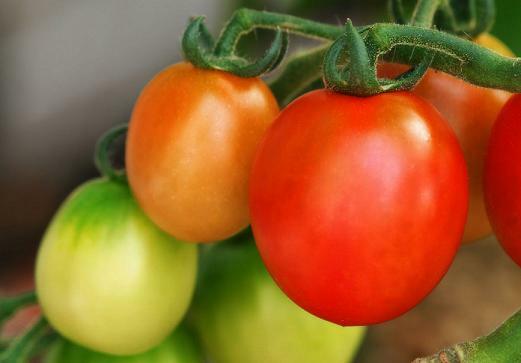 Even if you were late with the planting, the harvest is not affected, and if you have a good greenhouse either the may or even June frosts, your tomatoes will not be afraid, even if you live in the coldest region.